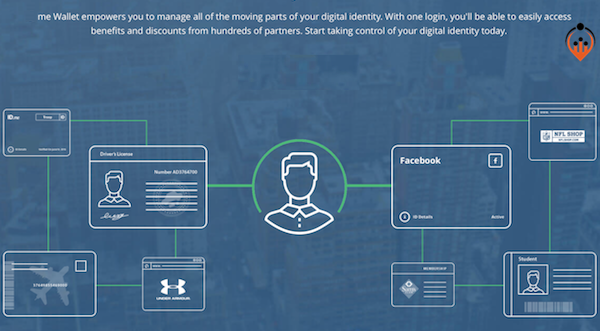 Steve’s breakdown: ID.me is the company and they put your digital identity under one roof. Sounds a little scary so hiring this CMO was a good idea. Here’s another good idea, hire an ad agency. MCLEAN, VA: ID.me is pleased to announce the appointment of Julie Filion as Chief Marketing Officer. Filion is the first of many high profile hires for the growing ID.me team. As Chief Marketing Officer, Filion will lead ID.me’s B2B and B2C marketing strategy, customer insights, and affiliate program. ID.me is the next-generation digital identity platform allowing convenient, trusted interactions between individuals and organizations. ID.me is one of four Single Sign-On providers that meet the U.S. federal government’s most rigorous requirements for online identity proofing and authentication, and its technology supports more than 200 partners. Filion is joining ID.me from MoneyGram International, where she served as the Vice President and Head of E-Commerce and Digital Marketing. In this role, Filion led growth and customer acquisition for MoneyGram’s online money transfer platform and was responsible for the company’s global digital brand presence. Her professional experience also includes tenures with Amazon, PepsiCo and the Monitor Group. Filion holds a Master of Business Administration from Harvard Business School and a Bachelor of Science from Queen’s University in Canada. “ID.me is at an inflection point and we are thrilled to add Julie to our leadership team to accelerate the company’s momentum and help introduce ID.me to more users” said Blake Hall, ID.me CEO. In March 2017, ID.me secured $19 million in Series B funding from FTV Capital. With the funding, ID.me is investing further in sales, marketing and product development. Veteran-founded and led, ID.me is a digital identity network that allows consumers to prove who they are online while controlling how their information is shared. For participating organizations, ID.me acts as a trusted intermediary, capable of verifying consumer identity and group affiliations in real-time. This allows organizations to ensure a consistent user experience across offline and online channels while reducing costs and security risks associated with manual verification. ID.me’s Identity Gateway supports over 200 relying parties. ID.me has been recognized with the PYMNTS.com Innovator Award for Most Disruptive Company and the K(NO)W Nodes Trailblazer Award.